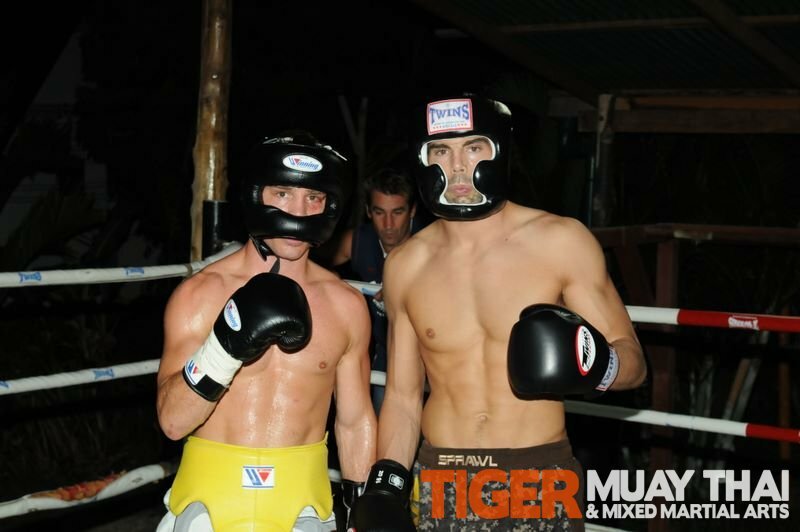 Guest of Tiger Muay Thai may have noticed American Kickboxing Academy superstar Mike Swick at the Tiger Muay Thai and Mixed Martial Arts Training Camp. Swick a multiple time guest of TMT is vacationing on the island and will be stopping into the facilty to workout while he is in Phuket. Mike Swicks teammate and fellow TMT alumni Jon Fitch will be facing BJ Penn next month when the UFC heads to Sydney Australia.